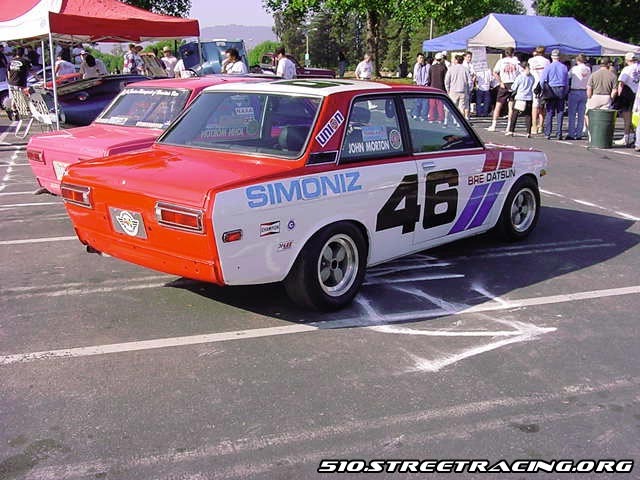 Build a John Morton BRE Datsun 510 Trans-Am replica. Currently we are working on improving the suspension. 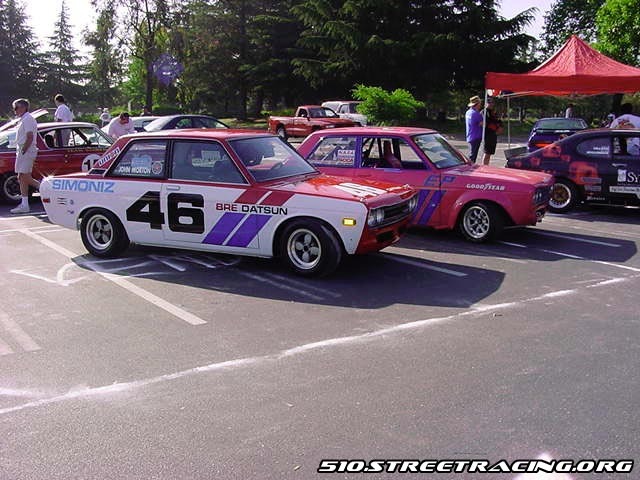 We have taken this car to several autocross events and have received many comments on it's authenticity. Over the summer Mr. C took pictures of our car and showed them to John Morton, the driver of the original BRE car. 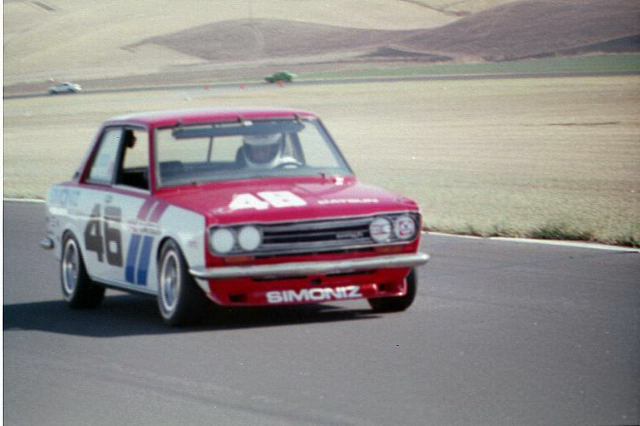 Mr. C at speed down the front straight at Thunderhill Raceway Park, Willows CA. 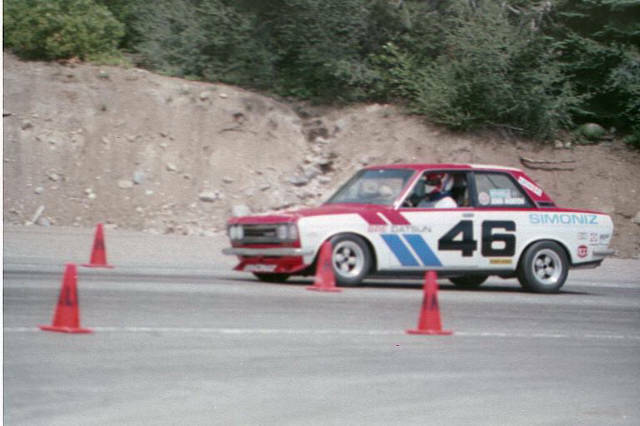 Guest driver, Greg Nowell, powers up the hill at the All Datsun Meet, Mt Shasta, CA. Duel at De Anza, maiden voyage. Prior to final touches, notice no spoiler, bumpers or window straps.